January 23, 2019– Since 1999, more than 700,000 Americans have lost their lives to a drug overdose, and care for people affected by this epidemic has added an estimated $1 trillion to the U.S. healthcare bill. 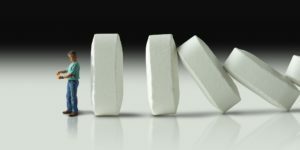 According to the CDC, in 2017 more than 70,000 opioid-related deaths were the main contributor to a decline in U.S. life expectancy. Confronting the nation’s opioid epidemic has become a top priority for federal and state policymakers, community leaders, and healthcare providers. In 2017, President Trump declared the opioid epidemic a national “public health emergency,” and in 2018 lawmakers came together to enact bipartisan legislation providing billions in federal aid to combat the growing epidemic. 340B Health, which represents more than 1,300 nonprofit hospitals that participate in the 340B drug pricing program, has released a new report profiling the efforts of 340B hospitals across the country to address the nation’s growing opioid epidemic. The report shows that 340B hospitals are on the front lines of battling the crisis and have instituted a variety of programs and services to address the problem within the communities they serve. The report also highlights that support for these programs and other initiatives comes from the 340B program. Created in 1992 in bipartisan legislation signed by President George H.W. Bush, 340B requires drug companies to discount their prices when selling to healthcare providers that serve many low-income or rural patients. Since its inception, the 340B program has helped safety-net providers care for millions of low-income and rural patients. Because of the program’s flexibility, it has helped safety-net providers institute a wide array of critical programs and services in response to national and local crises, ranging from hurricanes and fires to outbreaks and epidemics. And it does all of that at no cost to American taxpayers. Yet recently there have been several proposals to scale back the program. As several of the hospitals in the report noted, such efforts to limit the program would force them to find funding elsewhere or curtail some or all their efforts to address the opioid epidemic within the communities they serve. As a new Congress begins to work on its healthcare agenda, it is vital that lawmakers protect 340B so that it is there to support our nation’s healthcare safety net when crisis strikes. Copyright ©2019 340binformed.org unless otherwise noted.